This small, easy to grow, clump-forming evergreen perennial has strappy, inky purple, grass-like leaves. In summer, small spikes of bell-shaped, pale mauve flowers appear, followed by spherical, dark blue fruit. 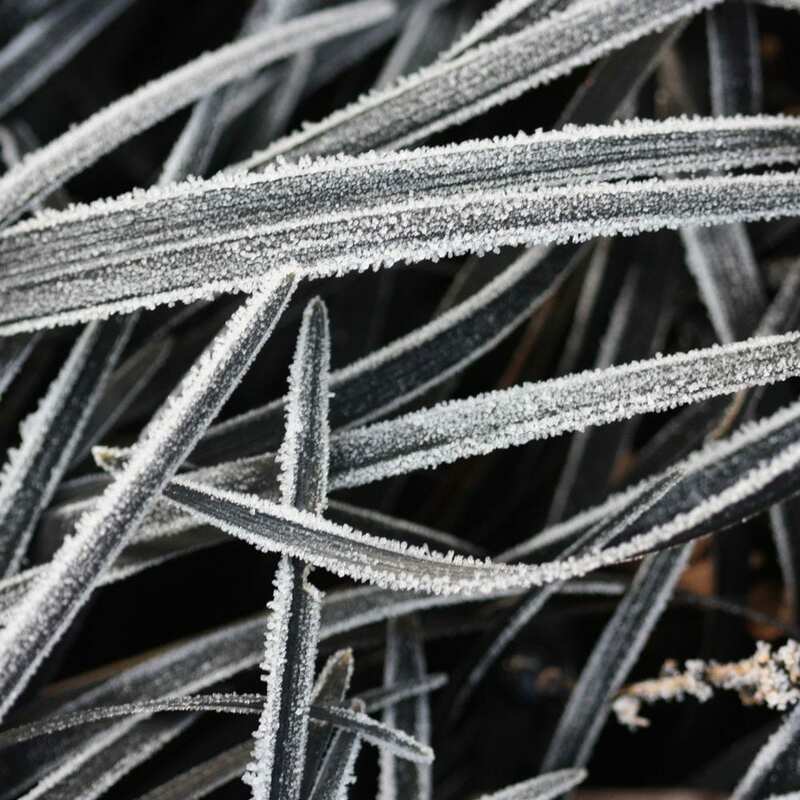 This unusual plant looks fantastic with other grasses, especially if grouped in tubs or planted into gravel, and it provides a brilliant contrast with silvery plants in sun, or bright green ferns in shade. 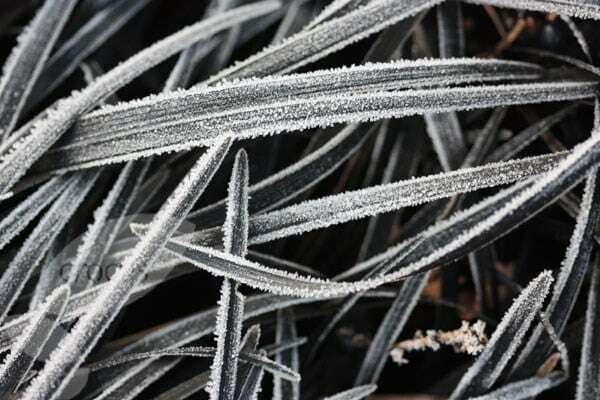 Garden care: Top-dress plants in autumn with leaf mould. I love these grasses. They are slow starters but once established they really look wonderful. Great along the edge of a path. 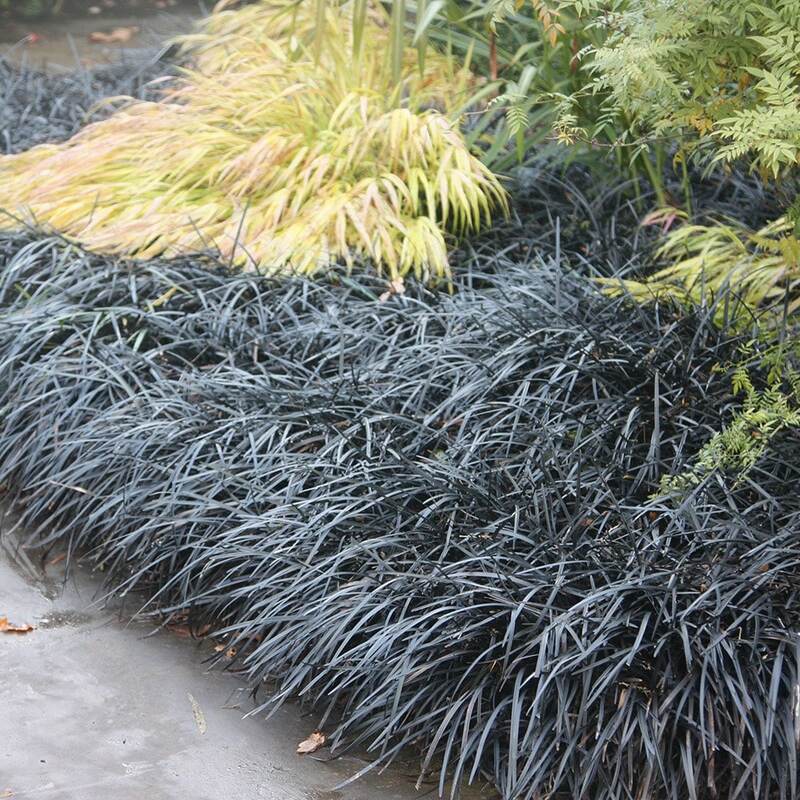 The black grass makes a good contrast next to the Pachysandra terminalis in my borders. Can you please suggest something to complement Black Mondo. My front garden faces south, but there is a 1 metre brick wall that shades my garden. I intend to put Black Mondo along the front, and want an evergreen to contrast with it, tucked behind the Mondo, against the brick wall. I was considering a gold choiysa (maybe not sunny enough?) or a varigated hebe (again not sunny enough? ), but open to all suggestions. Thanks.